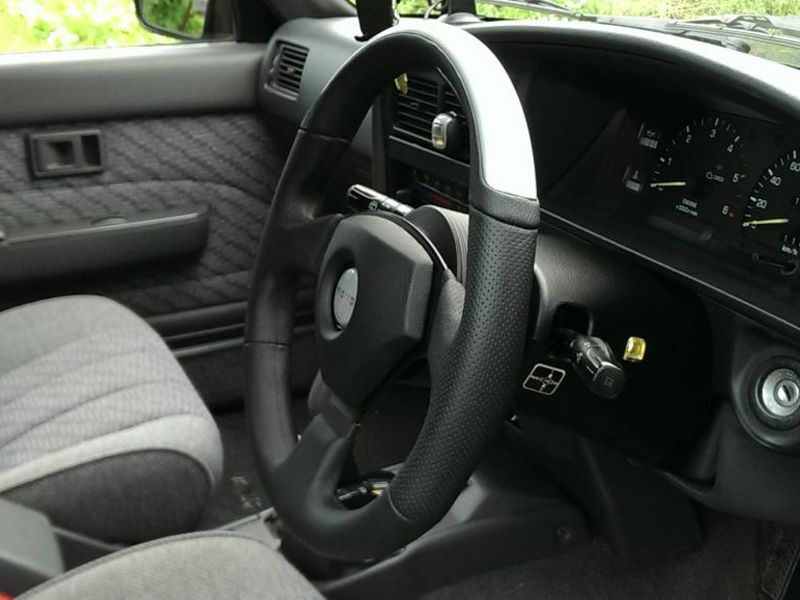 Steering Wheel column color match? 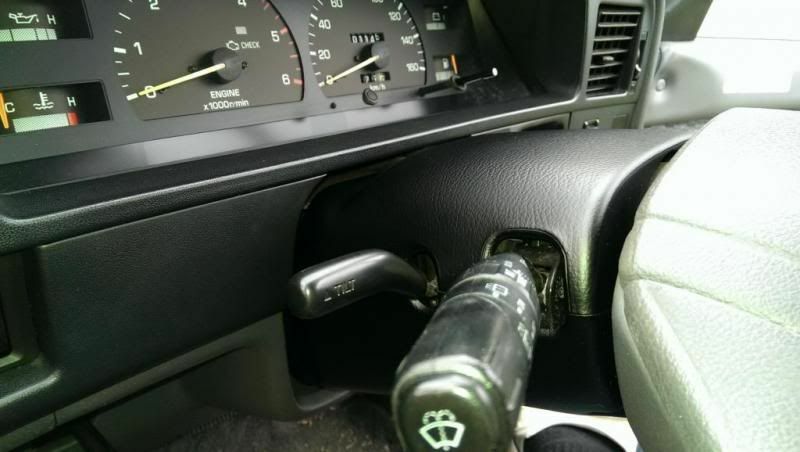 I was wondering if anyone has every found, or done something to color match their steering two steering column pieces on the grey interiors. 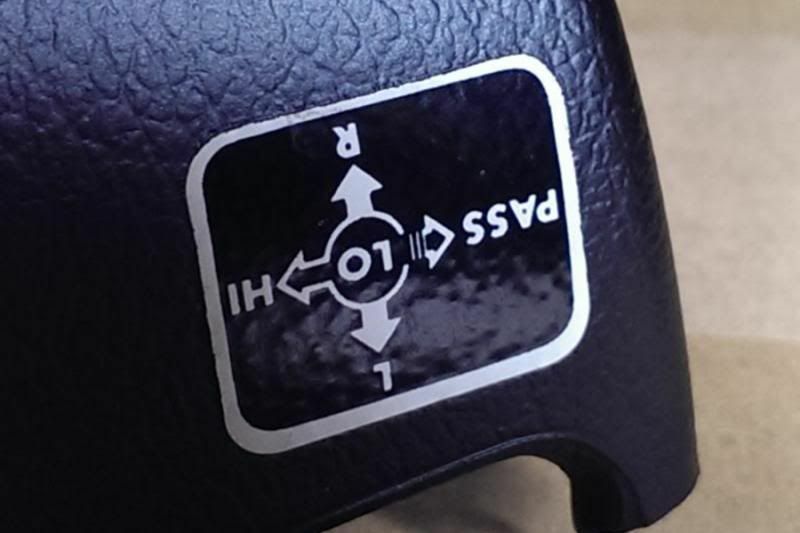 The steering column is an off greenish color in comparison to the dash and rest of the vehicle. I figured at first it was minor discoloration that could be cleaned up, but it appears as though this is the actual colotr of the plastic. 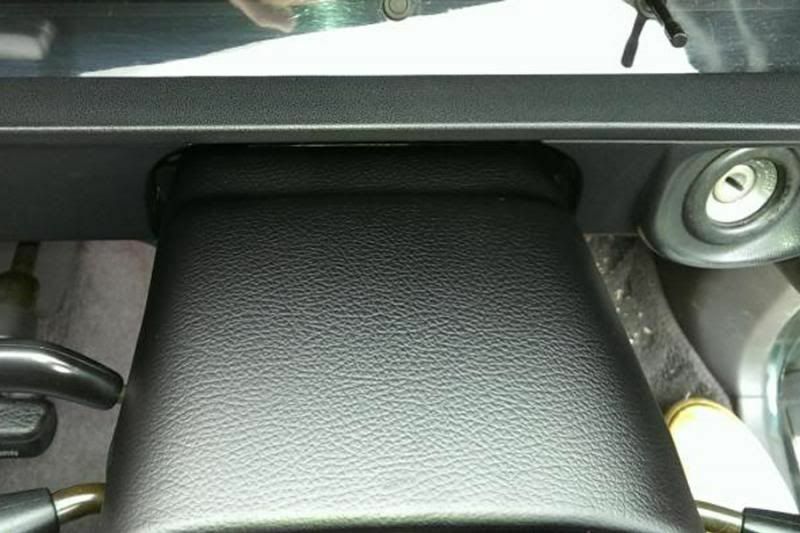 I was consdering going to an auto upholstry shop and getting them to vinyl wrap it to match the rest of the interior. 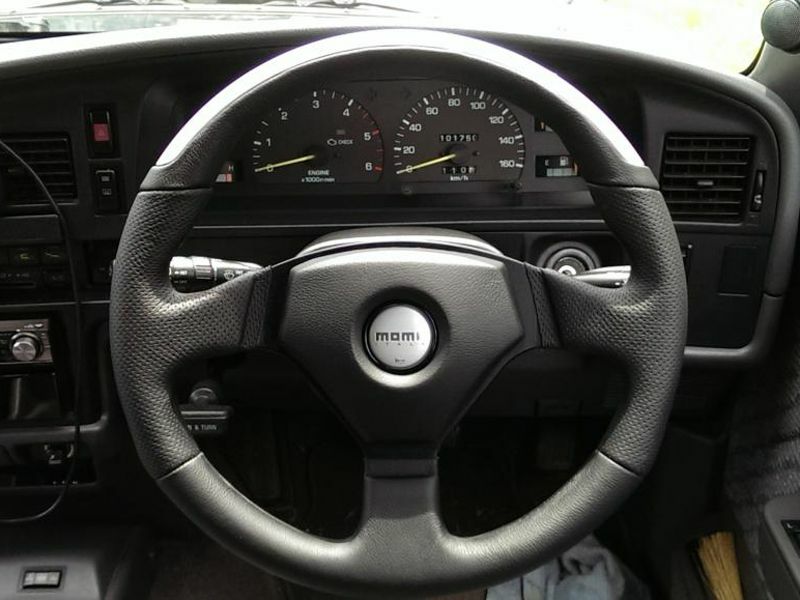 Is there perhaps an OEM toyota part which is the exact same color as the dash etc? For what it's worth mine is exactly the same, I thought it had been fitted afterwards when I first got the Surf. Thats kind of what I thought as well when I first purchased it. However, after looking at a lot of surfs on import sites, it seems as though this is quite common. I thought maybe someone had a toyota part # for a straight grey one that exists, or if someone has got theirs color matched or re-wrapped in color matching vinyl. lol. i wish i read this yesterday. i went out to the car armed with a bucket filled with bleach, fairy and wash and wax and a cloth to try and get the yellowing out. didnt work. Oh Nana, what's my name? I sprayed mine with satin black Hammerite smooth. 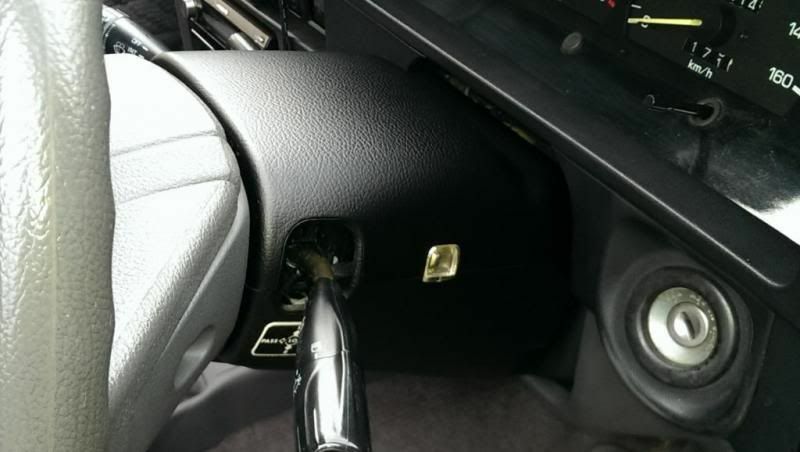 Due to your dash having black plastic all over it in places. A black surround for the column looks good. Mine was blue and busted and I could only get a grey replacement! I washed it and sprayed it with Satin Black ACRYLIC paint, now it looks $$$$$$ good and matches the rest of the car! Was tempted to do the steering wheel this week it looked so good! ACRYLIC paint is a MUST because it bonds with the vinyl! Seems like a good idea, spraying it black. It would certainly be an improvement to what it is now, it just looks manky! 'Tis better to sting than to be stung! Following my post I did exactly what I suggested to do! 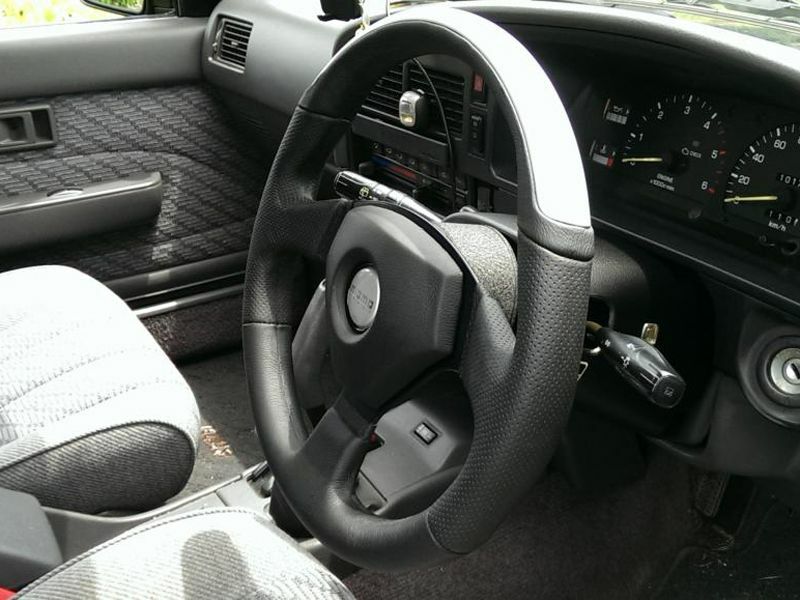 I sprayed my steering wheel, column surround and altimeter cluster etc. with satin black double acrylic. 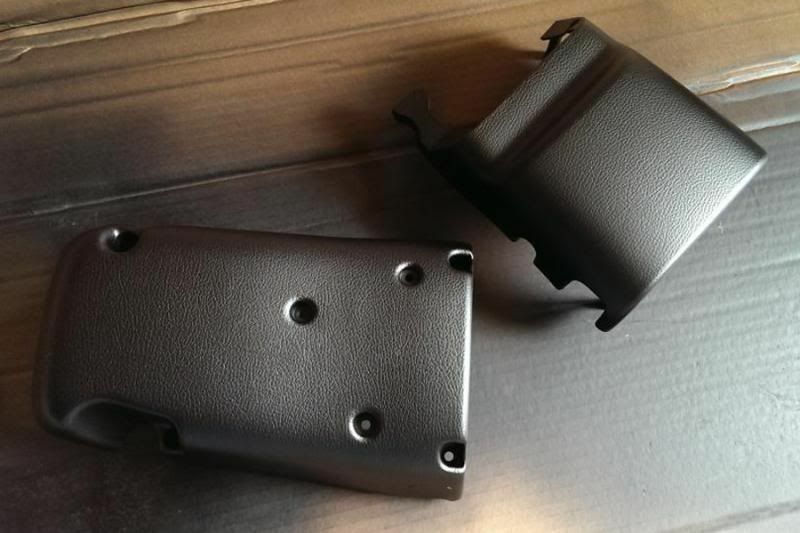 This paint really covered the plastic very well and is scratch and scuff resistant, very tough stuff! What a difference, they are like brand new and really go well with the black console on the blue surf. Will post pics tomorrow to show you. The photos are here guys! Old thread resurrection time, if there's a newer one I didn't find it... Noticed the piccy links are stale so I decided to post up my Result. Grey turned grey-green column surround has been bugging me since day one, finally decided to remedy the problem this morning. Removed (goes without sayin' I guess), washed inside and out with dish soap to degrease, rinsed thoroughly and air dried. Careful not to touch the surface to be sprayed after that. Cats banished and a nice clean sheet of cardboard, and it's dusty down in the Lair so I used the plant sprayer to dampen the nearby floor slightly. Light coat just to get it tacky first, not enough to really color it, more like a heavy dusting... P1ss off for 15 minutes and let it set, then lay it down. One good coat, wait 'till it loses the gloss, then one more. 'Bout time to grab some fresh air and a smoke outside, in between. Figured that since the thing sits dead ahead and a foot in front of the eyes I'd botch it for sure, fortunately flat black is very hard to screw up. Holts acrylic, new formulation. Peeled with the paint a little green, still soft and parts ways easily. Outside baking under the sun while I grab a sammy and a beer, being patient so as not to ruin in haste... will add finished job shortly. *Burp* Snack and nap beats sitting around watching it dry. Regret I didn't do sooner, very small detail I guess but it makes the whole interior look fresher. Time well spent, very happy. Last edited by MadScott; 17th June 2014, 11:22. All said and done the grey wheel just didn't look right anymore, and it's been getting that 'old sticky plastic' feel sooner and sooner after cleaning. Guess I'll give it a couple of weeks and see if I still notice. 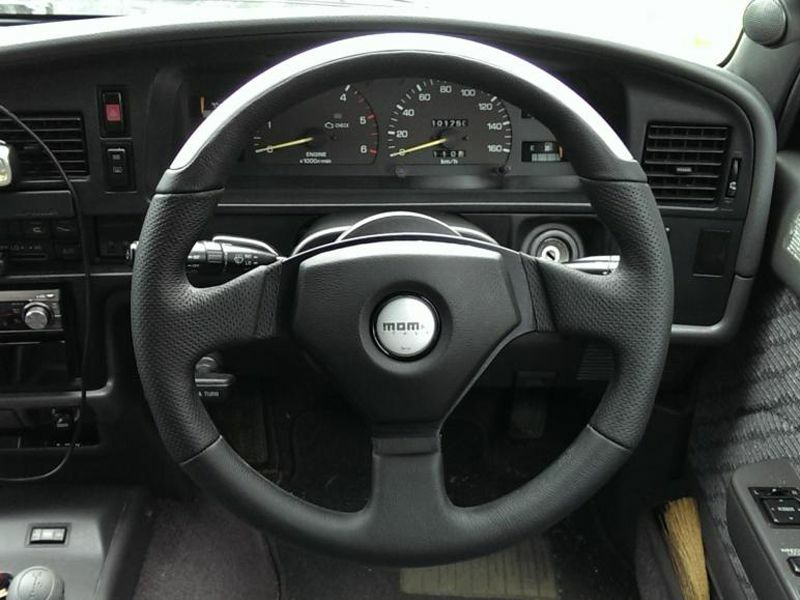 Patience of a gnat edit; found another boss for a different ride (Mrs.' Eunos I think) in the parts bin, was able to slightly modify the surround to fit. Last edited by MadScott; 6th July 2014, 02:59.